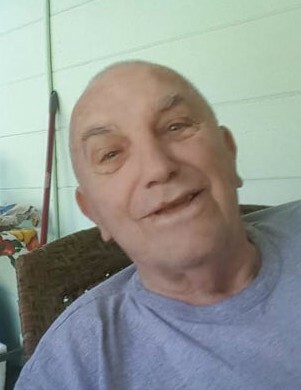 Larry R. Walters, age 83, of Lakeland, FL, passed away at his home on January 18, 2019 after a lengthy illness. Born in Bloomsburg, on October 28, 1935, he was the son of Ralph and Nettie (Weatherill) Walters. He was a 1954 graduate of Bloomsburg High School. Larry resided in Florida for 38 years, where he was a Praxair, Inc. truck driver for over 20 years. He was a member of the Church of Nazarene, Crystal Lake, FL. In addition to his parents, Larry was preceded in death by a sister, Edie Cain. Surviving in addiction to his wife of over 50 years, Grace, is a daughter, Sharon, wife of Mick Hunsinger, Berwick; four sons: Steve Walters, Berwick; Terry Walters, and his wife Vicki, Lakeland, FL; Randy Walters, and his wife Vicki, Lakeland, FL; numerous grandchildren and great-grandchildren; two sisters, Arlene, wife of Alvin Fetterman, Bloomsburg; Arla, wife of Scott Appelman, Hughesville; and a brother, Earl Walters, and his wife Eunice, Grand Forks, ND. At Larry’s request, there will not be any services.